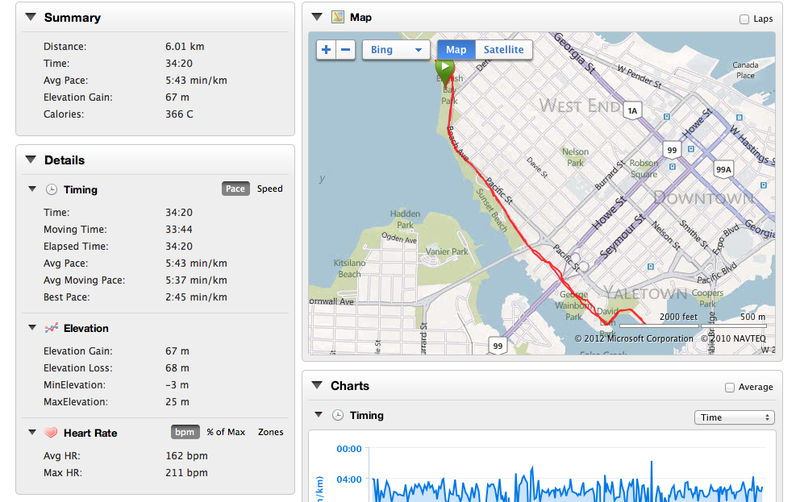 Every Tuesday we run 6km at %80-%85 of our max heart rate and it’s how we gauge our progress. It’s the shortest run of the week but the hardest. When I started in the beginning of Jan I was sick and so the stats may not be indicative of my progress as it may be overstating it — but look! 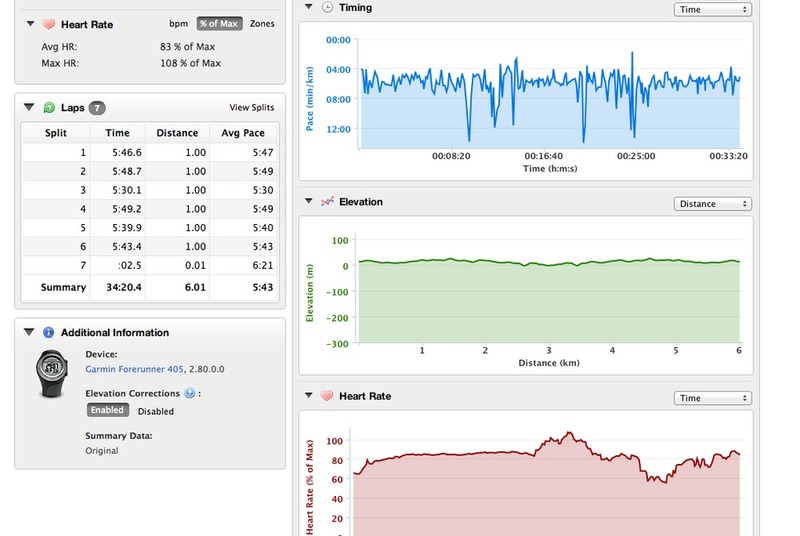 Using Garmin’s online tool, where all of my runs are saved online from when I started running a few years ago, you can see I’ve basically shaved off 45 seconds in my average pace per km. That’s pretty significant. I can’t wait to see the progress in the second, third and final month. I’m so impressed with myself right now =D! I was aiming to complete in under 5 hours but it looks like I might be able to run it in 4:30. I am starting to notice small pains in my knee and foot now and will likely have to start cross-training now. We had a guest speaker come in, Dr. Aaron Case, to talk about running tips, cadence (top/efficient runners have a leg turnover of 180 rotations per minute) and exercises. I’ll be doing my one legged lunges, bridges and bosu ball exercises religiously.